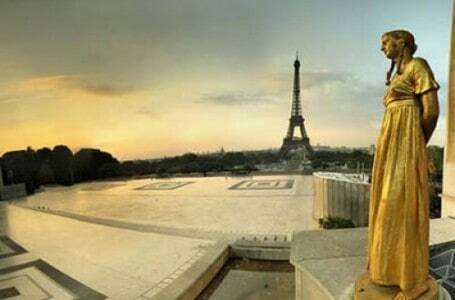 Paris in Two Days is a custom private tour of Paris for visitors who want to make the most of TWO DAYS in Paris. See all the great landmarks in the company of a passionate, friendly, local. Or go where most tourists don’t go – best macaroon, trendy restaurant, fun thing to do at the end of a long day. Or both – your private guide is also a Paris enthusiast and a born-and-raised local. This is the deluxe service that has put Discover Walks on the map – 100% tailored, all-inclusive, and as flexible as you need us to be. We meet you at your hotel or any other central Paris location you request, such as train station etc. Advanced reservation is of course needed, and can be made up to 24 hours in advance. If you don’t travel to Paris every 5 minutes, and you want to make the most of your stay – Paris in Two Days is a perfect tour for you. This 2-day private tour service is available every day. The meeting place and time are up to you. Available in English (Spanish and of course French are also available). Here are our rates – value for money. We also make special efforts for couples/small parties. We meet you where you need to – at your hotel, train station or any other central Paris location you need etc. Booking can be arranged up to 3 days in advance. Each day the tour ends where you need – back at your hotel, at a museum or a restaurant etc.